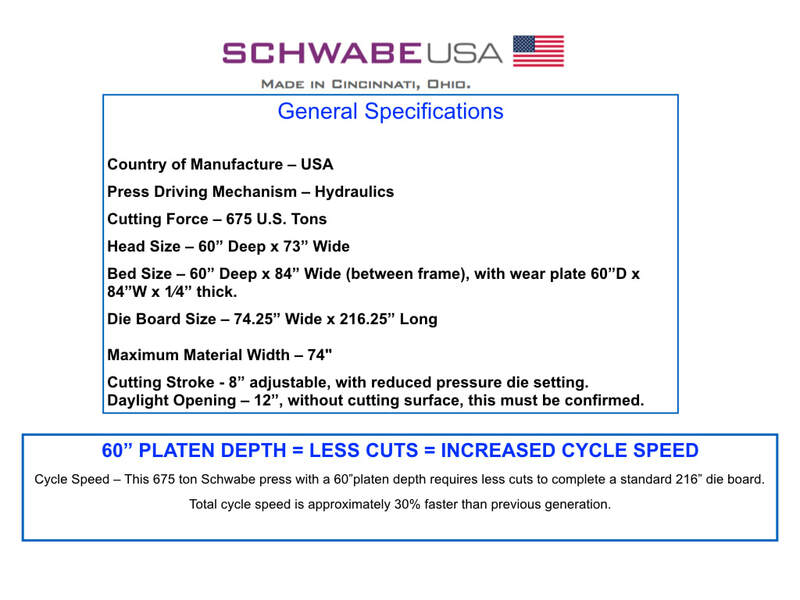 Cutting Stroke: 8” adjustable, with reduced pressure die setting. Daylight Opening: 12”, without cutting surface. 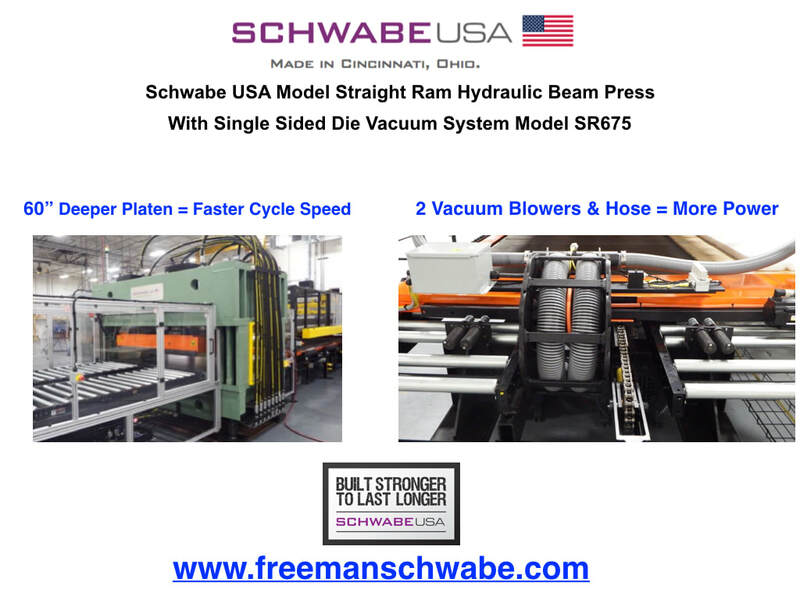 Please note in the demo video we show a SINGLE Sided Die Vacuum Cutting System, the press is also offered as a DOUBLE Sided die vacuum cutting system capable of more than 40 Eighteen Foot die boards per HOUR. 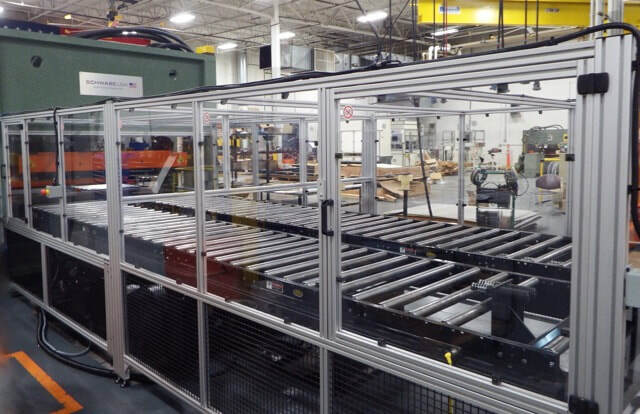 High volume manufacture of automotive interior trim components is achieved with great precision and excellent material efficiency using Ontario Die International's Dievac system on a SCHWABE progressive feed straight ram hydraulic beam press. 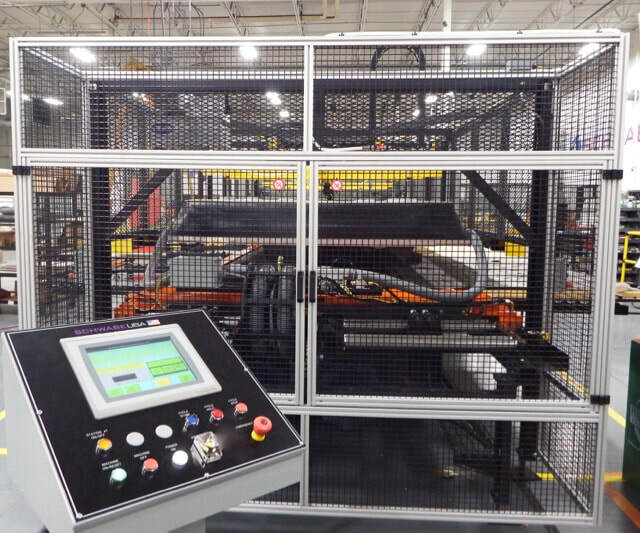 Advantages when Manufacturing Auto Soft Trim Components• 100% cutting accuracy. • Almost zero scrap parts. • Occupies less floor space than other systems. 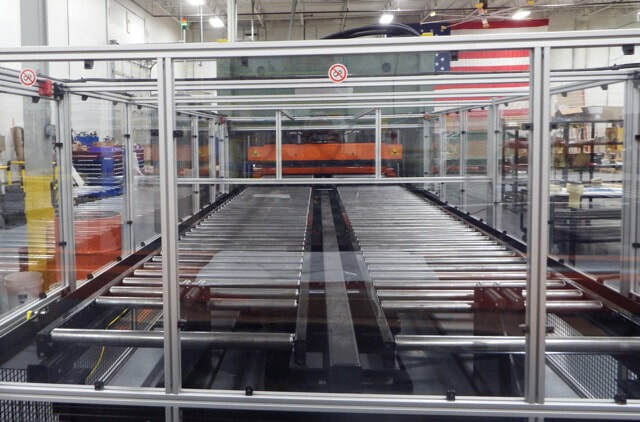 • Material will not move while cutting. • Pattern complexity immaterial to productivity. All interior blades and punches cut simultaneously. • CAD pattern nesting utilized. 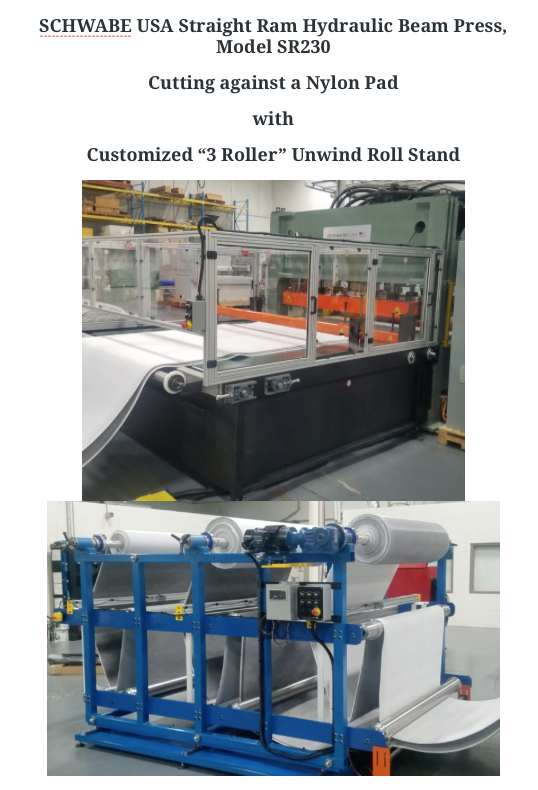 • Each ply is consistently cut, top to bottom. 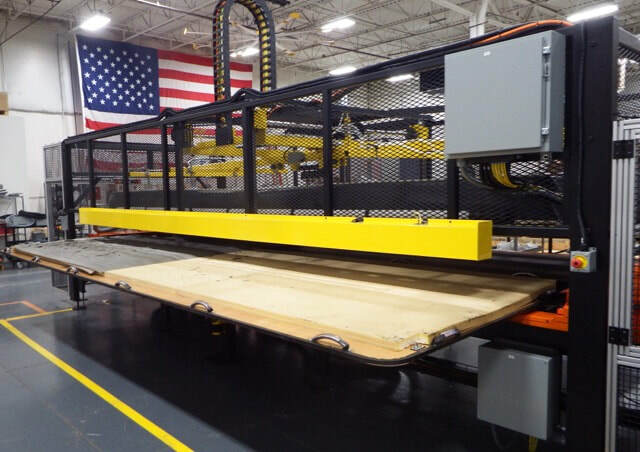 • Can easily cut 250,000 linear inches of material per minute!